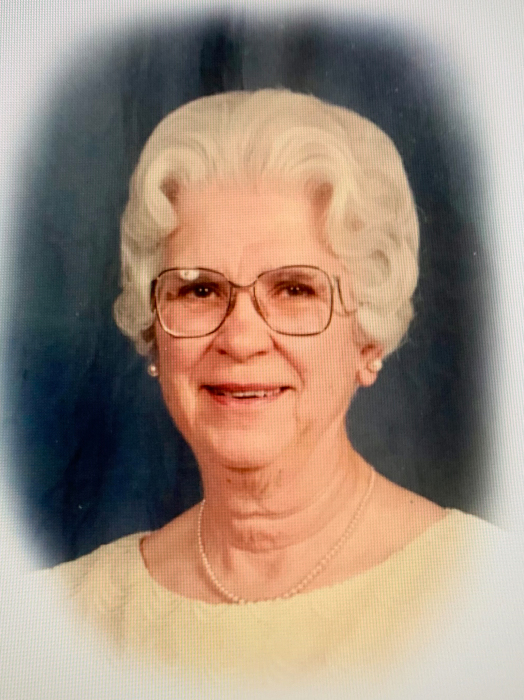 Dorothy Jane Hovland Stewart, 91, a longtime resident of Lordsburg, New Mexico passed away on January 30, 2019 in Albuquerque, New Mexico surrounded by her loving family. She was born August 29, 1927 in Las Vegas, New Mexico to Henry Hovland and Genevra Icyle Pickens. She was the middle child with two older brothers, Gaylor and Selmer and a younger sister, Rosie and brother Glen. She was raised on a ranch, where her father farmed wheat and raised cattle and sheep. When Dorothyfirst started school, she attended a small country school, eventually the school closed and in 1938 the family moved to Las Vegas so the children could attend public school. While attending school, she had several jobs as an usherette at a theater, candy girl in the theater lobby, soda fountain jerk at a Drug Store and a pinsetter at the bowling alley. She graduated from High School in 1945 and shortly thereafter began working at the Las Vegas Savings Bank. While living in Las Vegas, Dorothy met Voyd Stewart, who has just returned from World War II and was working for Brown’s Construction Company. They were married February 14, 1948. In 1960, they made their home permanently in Lordsburg, where together they lovingly raised four children.She worked at the local bank and later at Lordsburg Schools Superintendent’s office as a bookkeeper.In later years, they had a bus contract with the Lordsburg Municipal School District. After she retired she served on the board of Lordsburg Public Library, and volunteered at Senior Citizens. Dorothy was an active member of the Church of Jesus Christ of Latter-day Saints. She served in many capacities in the ward and at the stake level in Relief Society, Primary, and Young Women. Genealogy was her passion and she traced her ancestry back many generations. Her other favorite past-times included reading, doing jigsaw puzzles, playing Rumikub, and traveling. Preceded in death by her husband, Voyd Stewart, she leaves behind a loving legacy with her children and grandchildren; Jeanine (Michael) Hill, Harold Stewart, Donelle (Brent) Shipp, and Sandra (Jesse) Moore; her grandchildren Heather Hill, Troy Hill, Holly Covarrubias, Jesse Moore, Stephanie Anderson, Andrew Moore, Jillian Hall and Brendon Shipp and six great-grandchildren, Talen Covarrubias, Addison Covarrubias, Brady Covarrubias, Audrey Hill, Lucy Hill, and Anderson Hill. Funeral services will be held in Dorothy’s honor on Saturday, February 9, 2019 beginning at 11 AM at the Church of Jesus Christ of Latter-day Saints, in Lordsburg, conducted by Bishop Matthew Miller. A viewing will be held prior to services, beginning at 10 AM at the same location. Interment will be at Mt. View Cemetery. Pallbearers are Harold Stewart, Brent Shipp, Brendon Shipp, Jesse Moore, Andrew Moore, and Troy Hill. Baca’s Funeral Chapels of Silver City, New Mexico is in charge of arrangements.